Sat., March 18, 2017, 10:53 p.m.
SALT LAKE CITY – Gonzaga struggled at the free-throw line on Saturday when the Zags topped Northwestern 79-73 in the NCAA Tournament round of 32. The Zags finished with 23 makes out of 36 attempts at the line, one of their lowest free-throw percentages (63.9) this season. The Zags were given 28 opportunities for a shot at the line in the second half and they missed several of them – nine to be exact – before draining 10 in the final 5 minutes. Jordan Mathews said the missed shots on GU’s end, particularly in the beginning of the second half, allowed the Wildcats to continue their rally behind a barrage of 3-pointers. Free-throw percentage proved be pivotal in a number of GU’s wins this season and in their lone loss against BYU. In that game, the Zags shot 55.2 percent (16 of 29) before falling to the Cougars 79-71. Gonzaga’s lowest shooting percentage at the line this season came against Iowa State when the Zags hit only 6 of 12 of their shots. The Zags barely pulled out a 73-71 win over the Cyclones. 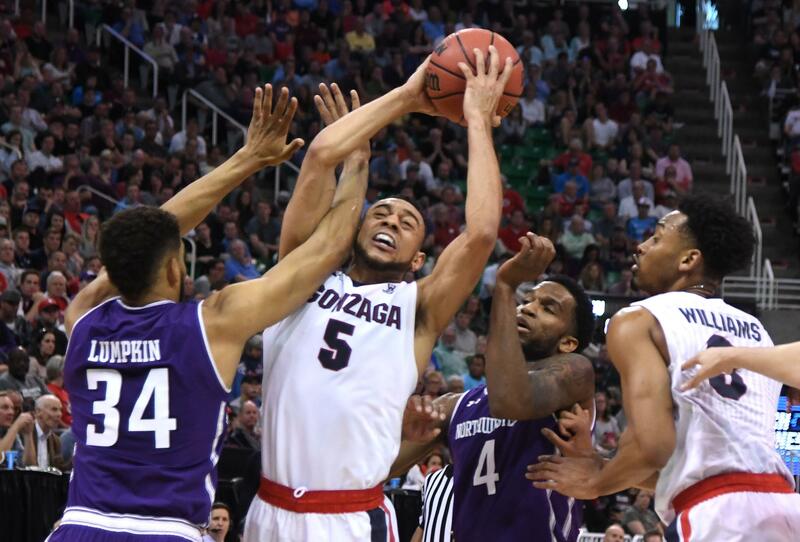 Nigel Williams-Goss led the Zags on free throws on Saturday with 7-of-8 shooting. Zach Collins was 6 for 8 at the line. Johnathan Williams missed all four of his attempts. Published: March 18, 2017, 10:53 p.m.